Corn fritter obsession… | 15,000kms of Food! I love corn fritters. Something about the crispy golden brown fritter with juicy corn kernels hidden within served with a side of crispy bacon or smoked salmon and a good guacamole, dollop of sour cream and/or tomato chutney makes my mouth water! The consistent favourite for me is at Bossy Boots in Brighton. Good fluffy corn fritters, with the right amount of corn and good consistency, with guacamole, tomato chutney and sour cream, and a generous side of crispy bacon. Everything is cooked perfectly, the only thing that could be improved is just to provide a bit more guacamole, chutney and sour cream. The legendary Mart 130 (Middle Park) is known for their corn fritters, and I can totally understand why. The reason why I love this fritter – it is loaded with corn! I think this has the highest corn to batter ratio of all fritters I’ve ever had. 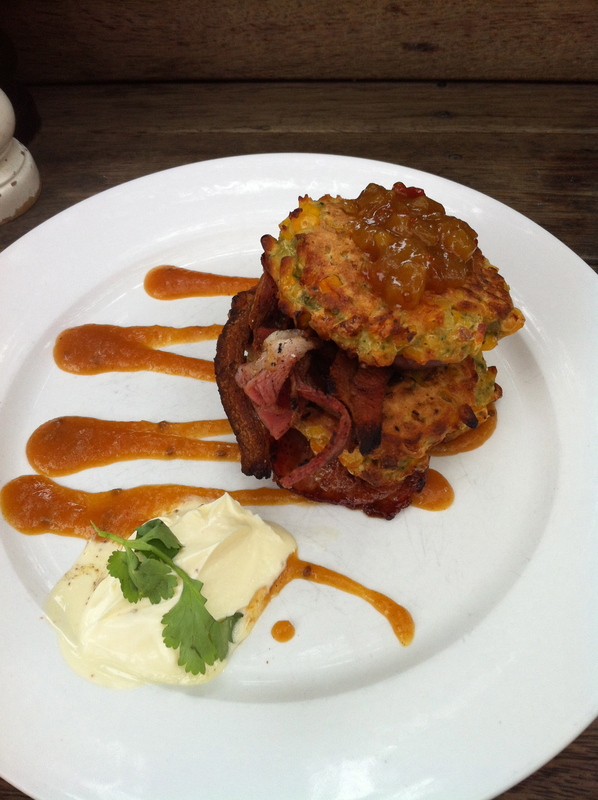 The fritters come with tomato chutney, sour cream and crispy bacon. Another favourite is Little Ox (also in Brighton). 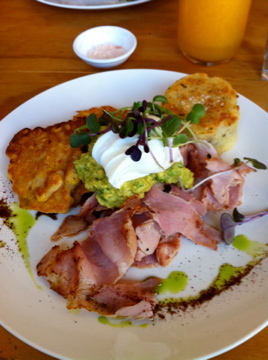 Their delicious fritters come with cheese within, and comes with guacamole, sour cream and a generous serve of ham. A great dish with everything balancing nicely, and very pretty to look at. 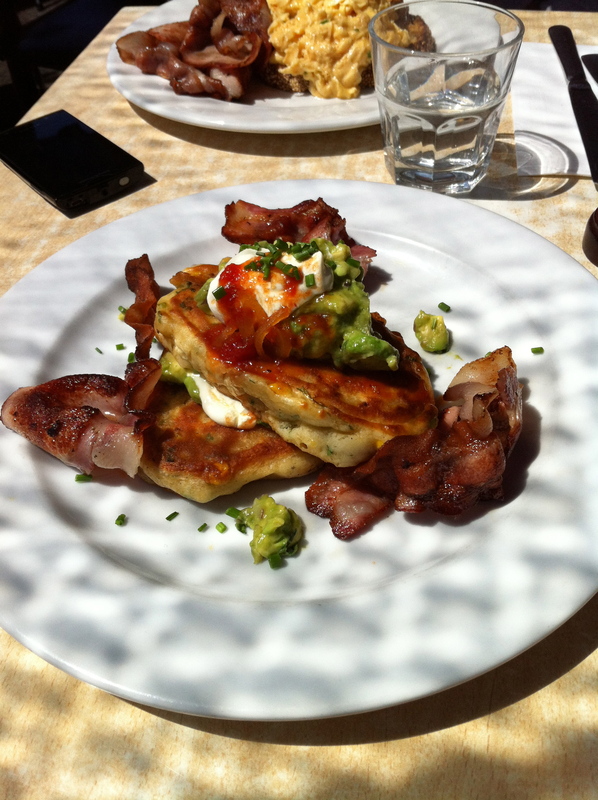 Another notable fritter is from Miss Jackson in St Kilda. Simply with chutney, guacamole and roasted tomatoes, this makes for the lightest corn fritter in this review. Again, another very pretty serving. In my travels, there have been two corn fritters that have not wow’d me. 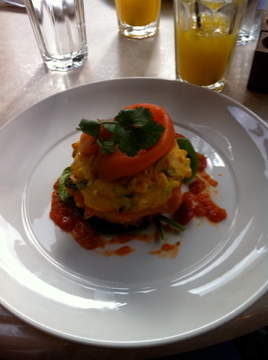 Firstly is Richmond Hill Larder, where the fritters were served with tomato chutney, spinach and smoked salmon. Two things bothered me about this dish, firstly, there was way too much going on. Next, it felt like the fritters were deep fried… so I’m not a fan. Coin Laundry corn fritters have an identity crisis; they’re sweet, sour, tangy and grainy… ’nuff said. Comes with rocket, mayo, a light tomato salsa. Two spots that I have been to a fair few times, but don’t have pics of are Replete Providore and Liar Liar, both in Hawthorn. A few years ago, Replete fritters were the toast of the town, but towards the end of my patronage there, the fritters were getting a tad heavy. The fritters are served with guacamole, sour cream and bacon. Liar Liar have pea fritters, served with fetta and mint – which I adore! Crispy outside, mushy goodness on the inside. They’re served with smoked salmon and sour cream. Previous PostFood pics from Apollo BayNext PostOla Mamasita! 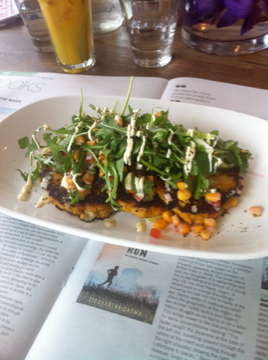 If you’re ever in San Francisco, I’d love to treat you to corn fritters at E&O Trading Company. They’re just divine! I was just in SF in August! 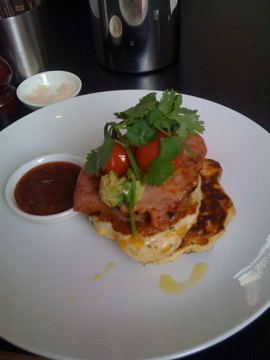 If you’re ever in Melbourne, I’ll take you to eat corn fritters! i’m just stunned you haven’t got totally sick of them yet!!! oooh if you go to Axil, buzz me!!!!!!! !